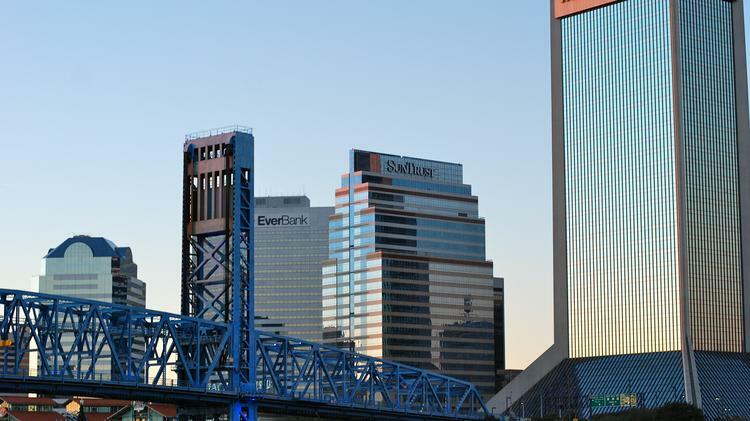 The Jacksonville industrial market vacancy rate fell to 3.4 percent in the first quarter of 2018, according to research from Cushman & Wakefield. As expected, rental rates have skyrocketed in return. Over the past year, the average asking rent per square foot has increased by almost a dollar, from $4.63 to $5.52, a 19.2 percent increase. The majority of the increase has been driven by rent increases among warehouse and distribution properties, as they comprise the bulk of the market’s square footage. The Northside submarket, which had a vacancy rate of 3.7 percent, saw much of the growth. It accounted for 90 percent of all absorption in the first quarter. Southside still leads in average asking rent at $7.71 per square foot. Researchers estimate there is about 1.2 million square feet of industrial space currently under construction. In the office sector, vacancies have declined steadily over the past two quarters, and rents have continued to increase. Class B vacancies in particular saw a substantial decline from 15.4 percent in Q4 to 13.5 percent at the beginning of this year. Cushman & Wakefield research attributes the decline to the market’s limited class A space, which drives tenants to opt for class B space. Demand has also continued to affect rental rates, as class A space increased by more than $0.60 per square foot since Q2 2017 to $22.23 this quarter. "Suburban submarket remained an ideal location for tenants due to its ease of access to high class amenities and housing options," the report said. "With rising occupancies and steady rental rate growth developers have grown confident and expect to break ground in the second quarter of the year on additional build-to-suit projects." The overall vacancy rate for the suburban office market was at 12.6 percent; downtown areas saw a 13.8 percent vacancy.